Every now and again, a LEGO model appears which could herald the beginning of a new building fad. 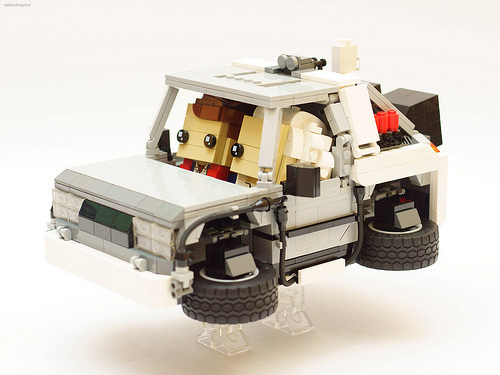 jp_velociraptor‘s Brickheadz-styled Back To The Future De Lorean is one of those. Built to accommodate the chunky proportions of the official Brickheadz versions of Doc Brown and Marty McFly, it’s a chibi delight — immediately recognisable to fans, but skewed to fit perfectly with the blocky aesthetic. 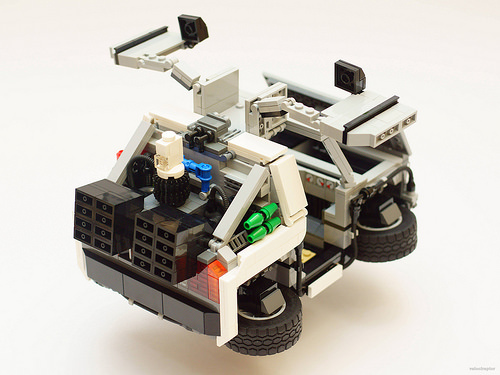 So come on Brickheadz fans — now we want to see a Batmobile or some Star Wars vehicles rendered in this style. And don’t miss this rear view which shows those gull-wing doors in action, along with a good look at all the wonderful greebly detailing around the back-end — including a perfect little Mr. Fusion! I want this! Take my moneyz!